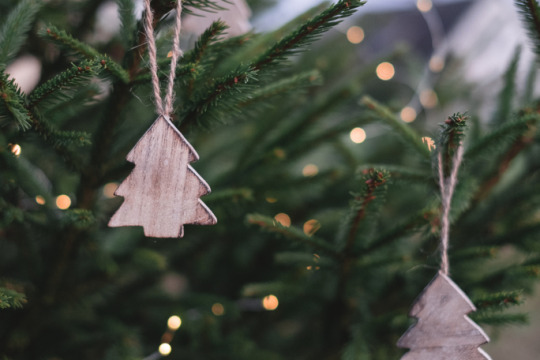 Hanukkah is underway, and Christmas is nigh, so, in honor of the holidays, we’ve decided to look into your favorite holiday plants. The holidays definitely aren’t complete without these traditional plants, and the stories of how they came to be traditions probably aren’t what you think. The holidays are upon us. Over at Gardenuity, there’s nothing we get more excited about than the plants that come along with the holidays. We’re talking mistletoe, holly and ivy, poinsettias, rosemary, amaryllis, and, of course, the Christmas tree. Christian or not, these plants are as traditional as the songs and decor they’re featured in and totally imperative to fostering holiday spirit. Today, we’re delving into the history of the holiday plants we adore. We’ve researched their storied pasts and how they became associated with the winter holidays. Each plant has a unique history that will add a special meaning to your holiday festivities. 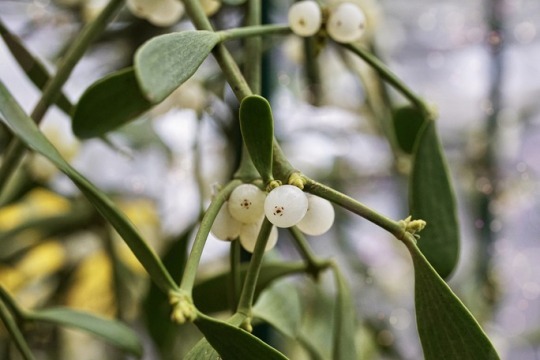 Mistletoe is the infamous plant that facilitates thousands of kisses every holiday season. So, how in the world did this custom come about? The truth might not be as merry as you expect. This tradition actually dates all the way back to Norse mythology. Baldur is the grandson of the Norse god Thor. (If Norse mythology is foreign to you, think Chris Hemsworth in the recent Marvel movies.) One day, Baldur woke up with the strange notion that each and every plant and animal on the earth was out to kill him. Despite his wife’s and his mother’s fervent consolation, he cowered in his room, filled with fear. To solve the issue, his mother and his wife went around asking every living entity to leave Baldur in peace, and every being—animal and plant—agreed. Baldur was thrilled. As he left his home, ready to celebrate, a wooden arrow from a mistletoe plant stabbed him in the chest. Apparently, Baldur’s wife and mother had forgotten to ask the mistletoe plant to leave Baldur in peace. Baldur died instantly, and the lesson was clear: Never forget about mistletoe. Thereafter, mistletoe grew to hang over doorways to remind us never to forget it. We kiss underneath it as an acknowledgement of its presence. Hence, the kissing tradition. Fast-forward to the Medieval period. Somehow, Christian people got the idea that mistletoe possessed magical powers that would bring good luck to one’s family in the month of December. Because of this notion, they began to use the plant during holiday ceremonies, burning it when the Christmas festivities ended. And this is how mistletoe and its kissing traditions got involved in the Christmas season. All in all, not a very romantic backstory. But nowadays, mistletoe has come to symbolize something quite beautiful. It’s about encouraging spontaneous romance and sharing innocent love during the holidays. This is our favorite traditional holiday plant. Having your own rosemary plant sitting in your kitchen is a good idea year-round, but it’s especially wonderful during the holiday season. It fills your home with the most delicious scent and adds the perfect, seasonal flair to your best holiday dishes. 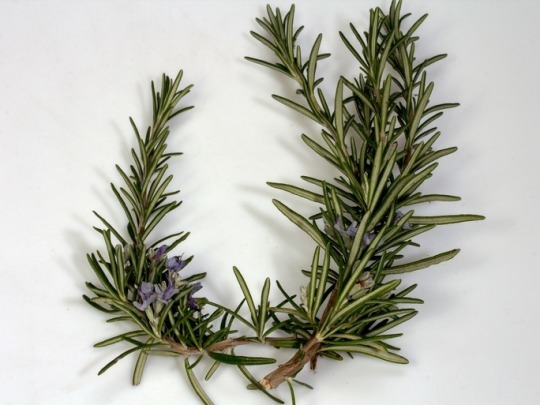 During the Middle Ages, people would spread rosemary on the floor during the holiday season. As people walked atop it, the smell of its crushed leaves would fill the house. They did so because rosemary is rumored to ward off evil spirits and invite only good into a home—a fitting thing for the holiday season. But how did it become associated with the holidays? The story is that the Mary laid the child Jesus Christ’s garments on rosemary’s branches to give it a divine aroma. As such, Christians adopted it during Christmastime to celebrate Mary’s child. In modern homes, rosemary can stand as a symbol for banishing negative attitudes and encouraging high spirits during this time of festivity. Plus, it simply smells and tastes fantastic, so you simply can’t go wrong! Poinsettias is a holiday staple—their deep red and white leaves decorate many homes and venues during December. Currently, you can find poinsettias in homes across the world, but they originally come from an area of Southern Mexico known as ‘Taxco del Alarcon.’ A man named Joel Roberts Poinsett, the first US ambassador to Mexico, brought the plant back to the states in the 1820s. Hence, the flower’s name. Poinsettias became connected to the holidays because they are extraordinary wintertime growers—they’re specifically successful during December and are bound for beautiful blooms throughout the holiday season. Additionally, a tale is told of a young, poor Mexican girl named Pepita. She had no money to buy a present for the baby Jesus at the Christmas Eve services, so she picked a small handful of weeds and walked to the altar. She was incredibly embarrassed at the seeming insignificance of her gift. However, as she knelt down, her weeds burst into the bright red petals of poinsettias. 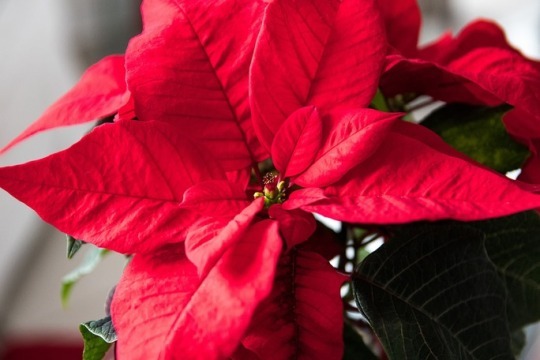 From that day on, poinsettias were known as the “Flores de Noche Buena,” or “Flowers of the Holy Night,” and are connected to a true Christmas miracle. Religious or not, poinsettias are beautiful and festive decor. They’ll bloom well and remain healthy throughout the winter, making them an easy choice to add color to your home. 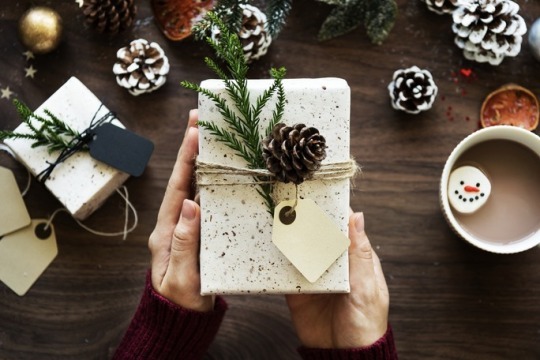 In any case, the tale that connects them to the holidays reminds us that extravagance and monetary value means little next to the spirit of giving. 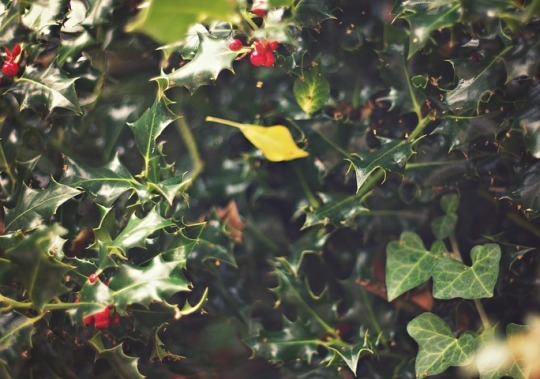 As the stars of the Christmas carols, “Deck the Halls,” and “The Holly and the Ivy,” Holly and Ivy might just come in second place for most well-loved holiday plants. But, they’ve actually been holiday decorations long before Christ was born. Ancient civilizations thought it had magical properties. Since holly is a year-round green plants, it came to symbolize eternal life. Early Europeans would use holly to decorate during their winter solstice festivities to promote of the coming of spring with all its life and growth. Holly was also associated with Norse mythology. Thor, the god of thunder, was rumored to be connected to holly, so people would decorate with holly plants to prevent unwanted lightning strikes. Similarly, ivy has also been winter decor for thousands of years. It, too, is a year-round green plant, and is likewise rumored to be magical and symbolic of eternal life, rebirth, and the advent of spring. In ancient Rome, ivy was associated with Bacchus (in Greek mythology, Dionysus). He’s the god of wine and festivity, and as such, ivy would be used as trimming in festivals. Despite its long standing tradition of winter decor, ivy was actually once banned from Christian decor. Because it grows so well in the shade, people began to think of ivy as secretive and degenerate. Nonetheless, the custom of decorating with ivy has continued throughout the years. In any case, holly and ivy are remind us that spring is not too far away! Besides, they’re the perfect colors for holiday parties, and we might as well celebrate in style while we wait for spring. In our opinion, amaryllis’s are some of the most beautiful flowers you can buy to decorate your home. During the holidays, they’re elegant decor. They’ll look stunning atop mantles or as the star centerpiece for your family dinners. The flower’s name ‘Amaryllis’ is the name of a a love-struck maiden in Greek mythology. Desperately in love with the handsome and cold-hearted Alteo, she pierced her heart with a golden arrow to gain his attention. Then, she visited his cottage daily. As she walked to his home, drops of blood fell to the path. On the thirtieth day, beautiful scarlet flowers had bloomed along the path. With the flower’s beauty, Alteo was enamored and Amaryllis’s heart was healed. 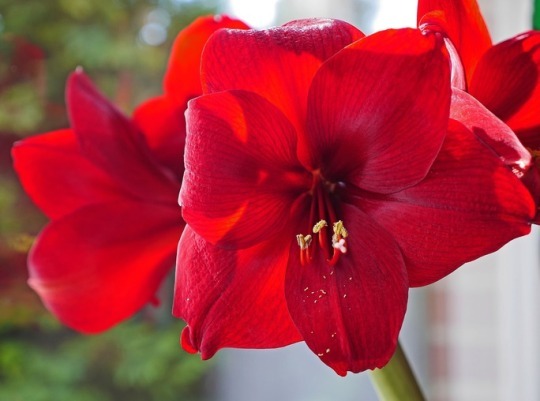 We’re not totally sure how amaryllis’s became connected to the holiday season, but we must assume it’s in large part due to their festive and stunning colors. Decorate your home this year with our Amaryllis Garden. Their stunning blooms will serve as a reminder to you and yours of undying love and the beauty of the earth. Last but arguably the most widely known holiday plant is the Christmas tree. The evergreen tree is the most common choice for a Christmas tree, firs being a close second. As with holly and ivy, plants and trees that remained green all year were especially meaningful to people in the winter. True to its name, the evergreen tree is one of those plants. In ancient times, evergreens were made into boughs for the winter solstice as a reminder that spring would return and green plants would grow again. Officially, Germany began the Christmas tree tradition as we know it. People began bringing trees indoors and decorating them in the 16th century. Supposedly, it was Martin Luther who began using lights amidst his tree’s branches. At the time, he was trying to imitate the beauty of twinkling stars amidst a forest of trees. Decorating a tree is a fun and festive activity for family members of all ages and all religions. (Don’t forget about the Hanukkah bush!) We encourage you to decorate it however you wish. There are many ways to participate in this tradition, and no way is the wrong way. All in all, the holidays are a wonderful time to be grateful, giving, and full of love. These traditional holiday plants serve as a beautiful reminder of these things and can encourage a joyful spirit amongst you and your loved ones. However you wish to celebrate, celebrate with plants! You’re sure to love their beauty, in any case. December 13, 2017 by Corinne L.